II started rowing when still at school, at Marlow Rowing Club and when I went to Bristol University I joined the club straight away. 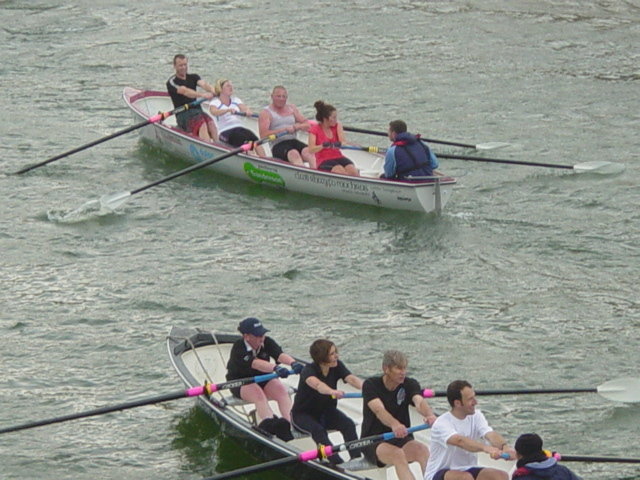 We rowed on the Avon, which was narrow and windy compared with the Thames at Marlow and aimed at competing in the two major heads of the river races, at Reading and on the Oxbridge Boat Race course. 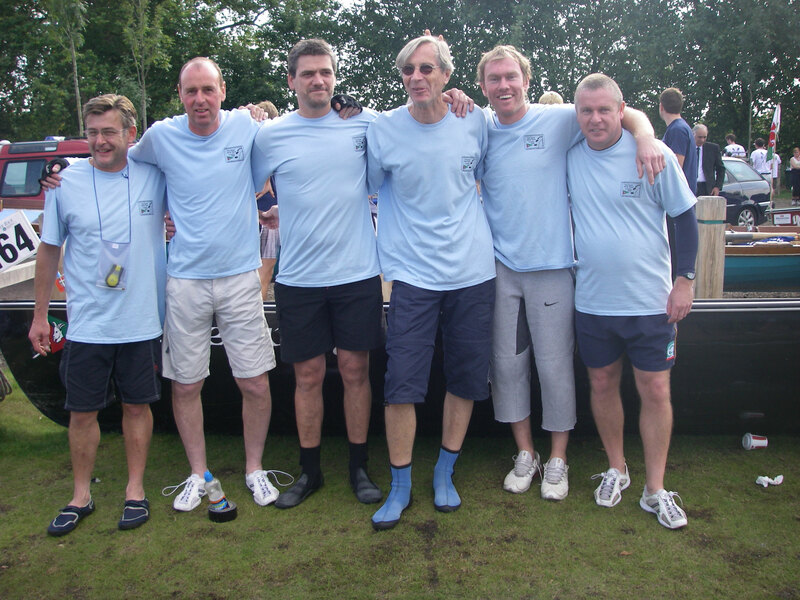 The second eight, which I was in, came a very creditable 50th – their best showing many years. I was very lucky to be coached by an ex-Olympic sculler who coached from his scull and not only was able to keep up with us but also to accelerate to talk to Bow or decelerate to talk to the cox. After that competition rowing finished for the year but I managed to get a coxed 4 together and were allowed to compete as a University team. We won our first Regatta, at Hereford – I still have the tankard to prove it but unfortunately one of our crew left for an operation on his hand and we didn’t gel as well with the replacement. 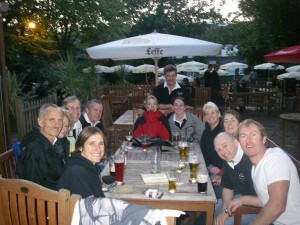 We came second at Stratford Regatta but weren’t enjoying it as much so we disbanded. I started my second year at Bristol in the first eight and only left rowing because the rowing captain demoted me to the second eight even though the first eight was a much inferior crew to the one I had rowed in the previous year as subsequent race results showed. 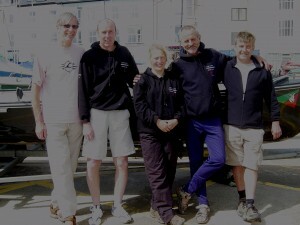 I started sea rowing with Porthmadog Yacht Club in 2008. The boats are heavy, wide and have fixed seats but I was able to row with a reasonable effective style after just a few strokes, the intervening years irrelevant. The club is very welcoming and I’m having a lot of fun taking up the sport again and coxing too. was invited in 2008 to row at Porthmadog Yacht Club in May in a Celtic Longboat, a 4 person coxed rowing boat used for racing, training and recreation. It was the first time in a rowing boat (apart from dinghies) since I rowed for Bristol University in 1964, 44 years ago. Very different from eights with sliding seats and very little freeboard I found no problem in taking my place in the crew and didn’t disgrace myself at all. I really enjoyed the whole experience. My first race was in a mixed crew at Aberystwyth. The conditions were extreme with gale force winds and a nasty short chop. Boats had to line up on an imaginary line between a buoy and the starting boat and we set off when the red flag dropped. We hadn’t practiced race starts before and our stroke surprised the rest of the crew with the rapidity of his strokes. We seemed to be gaining position on a few boats but then had to round the second buoy and found ourselves pushed wide losing several positions in the process. We were rowing straight into the wind and waves and it was very exhilarating but we’d managed to get a bit off track, further out to sea than the remainder of the boats. Never-the-less we had a couple of races with other boats, both of which we won emphatically and we had almost drawn level with another when we reached the final buoy. Again we lost advantage on the turn and although we gave it all we could they held us to the finish line at the harbour mouth. We came 11th but our men’s team managed to come third. overtake seven other boats. The ladies crew also acquitted themselves well. A good day, although we all felt we’d been unlucky with the race starts which had not been conducted fairly. The only excuse was that the conditions, strong winds and strong tides had made lining up the boats difficult. One of the highlights of the club’s calendar is the 22 mile Great River Race from Richmond to Greenwich on the River Thames and in September 2008 I was given the opportunity to row in it even though there were more rowers than places. I stroked and coxed but didn’t feel I had the full confidence of the crew in either role and we only finished 75th. Overall though it was a great experience, so many boats, such a spectacle, such interesting and varied boats, such great fancy dress. In 2009 we decided to enter a supervets crew in every race. We weren’t able to enter exactly the same crew in every race and we didn’t win our category in every regatta, although we did in the final race of the season when I stroked the crew to beat 3 other entries and come in the top half of all the entries. 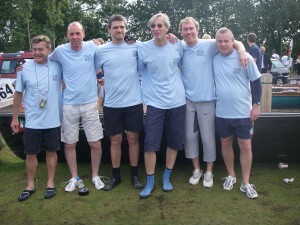 We then became the 2009 Welsh Supervets Celtic longboats champions. I also rowed in the mixed team most regattas. Again we rowed in the GRR and this time in a well balanced crew. We finished 22nd this time out of an entry on almost 300 boats even though two of us were OAP’s.